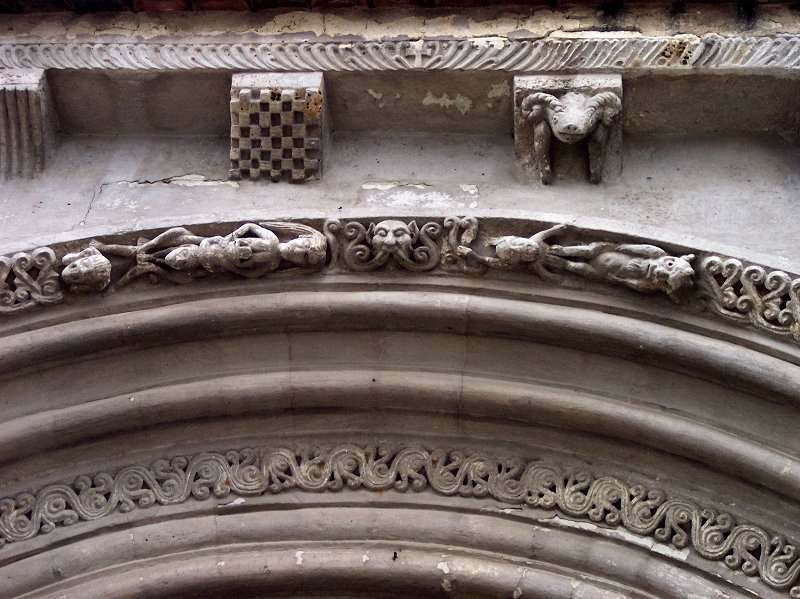 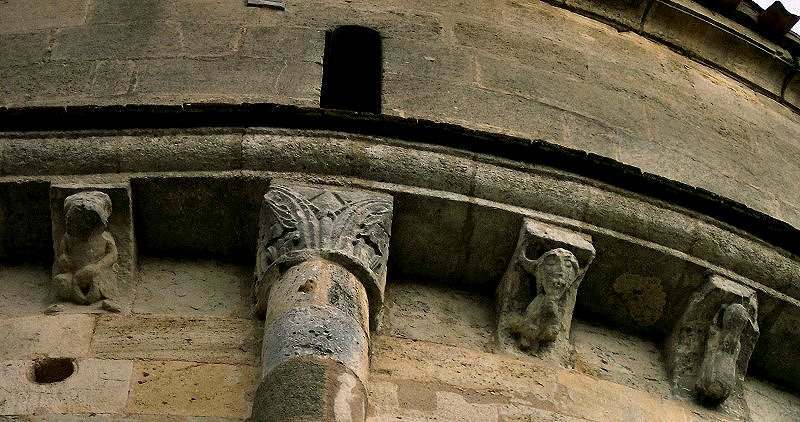 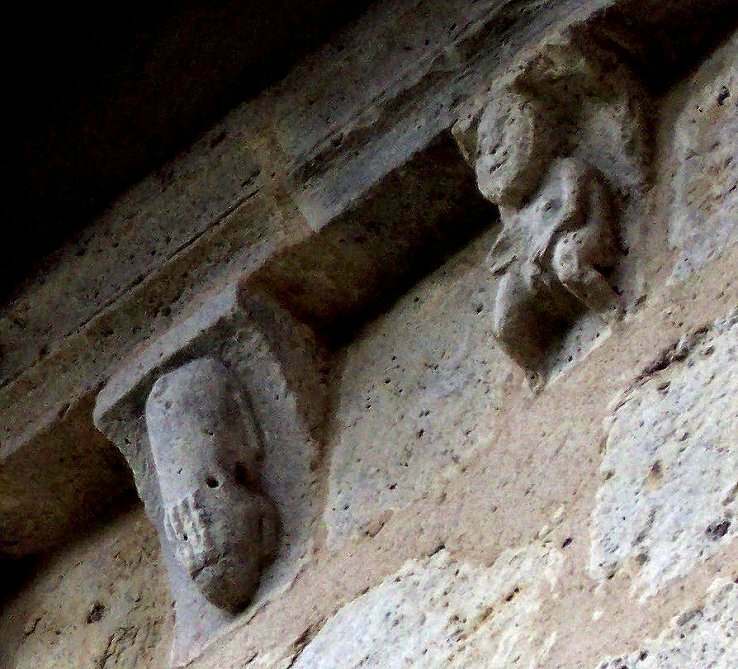 ...who is, as it were, an amalgam of two corbels at Lasvaux, Martel (Lot). 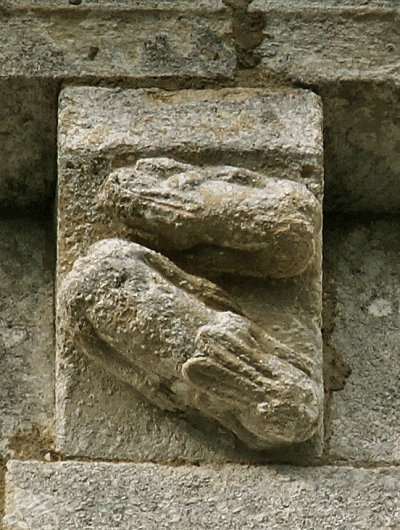 and a phallic-looking hare (symbol of concupiscence). 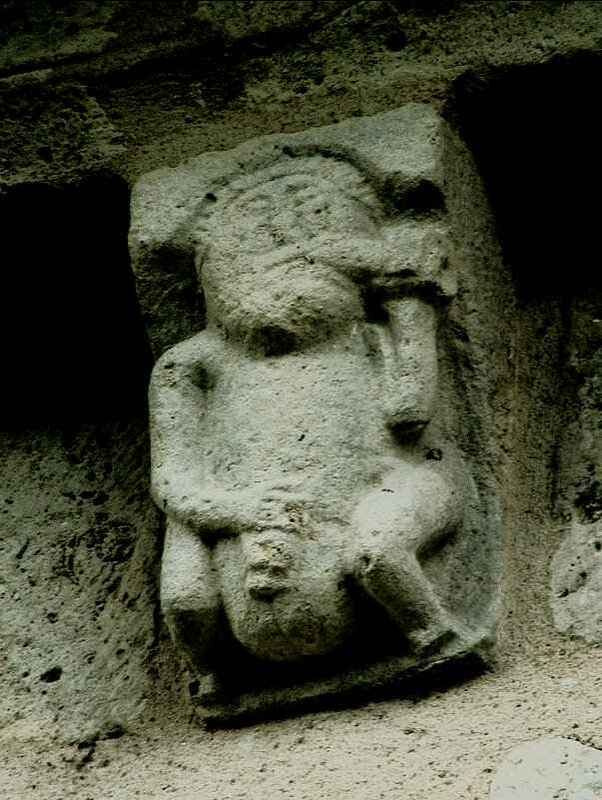 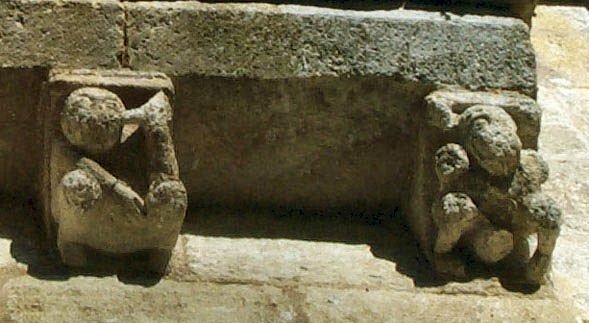 ...and a female exhibitionist at Targon (Gironde) in the company of a horned man and a hare.